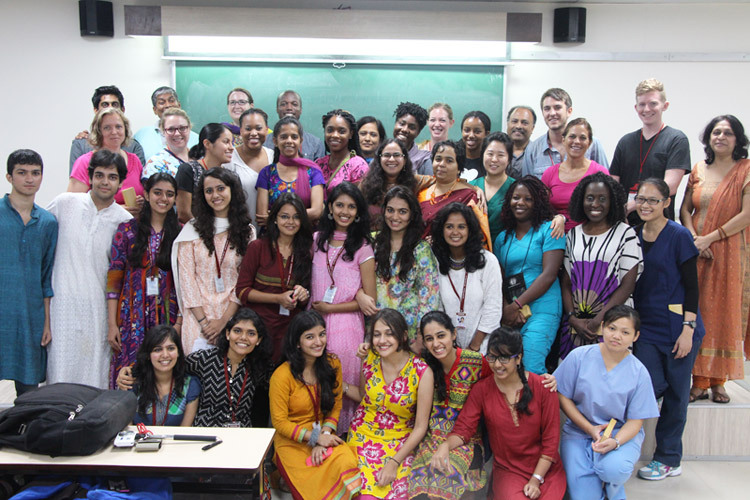 A team of 18 students and 5 staff members from Loma Linda University (LLU), Los Angeles, California, US, paid a visit to Jai Hind College on of 20th August, 2014. This team comprised of Doctors, Nurses and Mental Health Practitioners who are an integral part of a Degree program in Masters in Public Health (MPH) from School of Public Health. 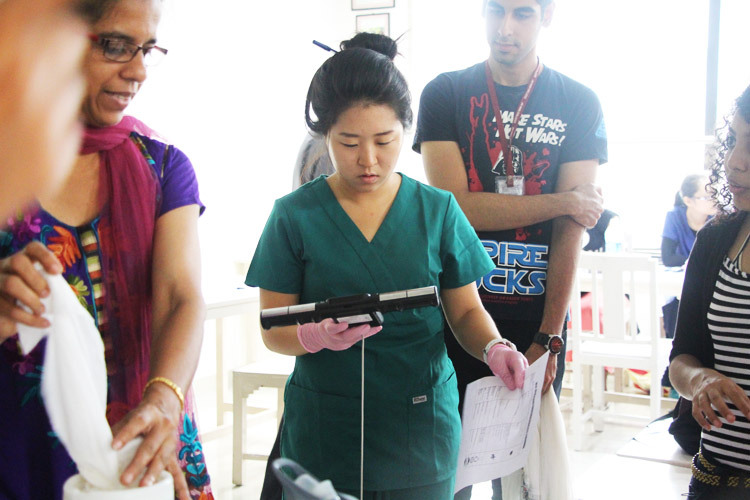 As a part of their training in Community Health Work in International set – up, they collaborated with the Department of Psychology and Rotaract Club of Jai Hind College. They delivered a Health Lecture on ‘Positive Health’ & conducted a Health Fair for the students. 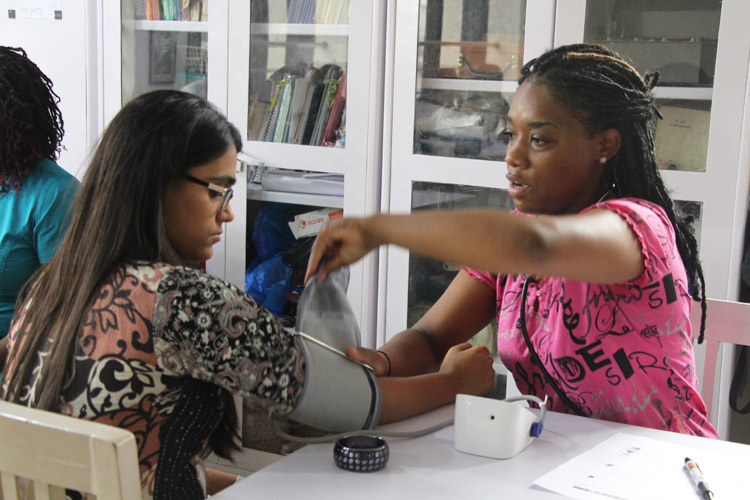 In the Health Fair the team set up six medical check-up stalls for the students. 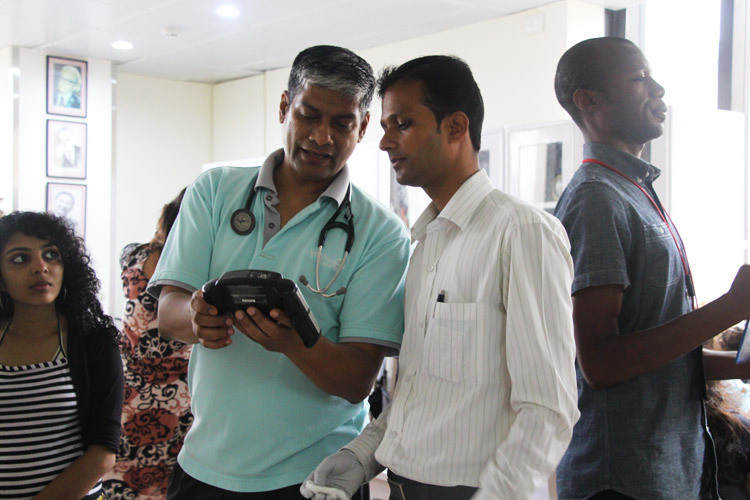 With the aid of various instruments and machines, students got a thorough measure of their bodily parameters like, weight, height, BMI, blood count, blood pressure etc. This was followed by individual counselling sessions where each student was provided with an in-depth analysis of the status of their health and recommendations for improving it. In the Health Lecture the faculty members of Loma Linda University conducted an intensive and interactive session on key aspects affecting the mental and physical health of the youth. Citing many case studies and personal experiences of their patients they highlighted the impact of nutrition, light, air, temperature, exercise, sleep and substance abuse on health. Their presentations were illuminating, humorous, captivating and beneficial. The students of Psychology Majors entertained the guests with a colourful display of medley of songs and dances. It reflected the vibrancy and beauty of the Indian culture. Conclusively, the Wellness Camp went a long way in aiding the students to take concrete steps towards improving their health. 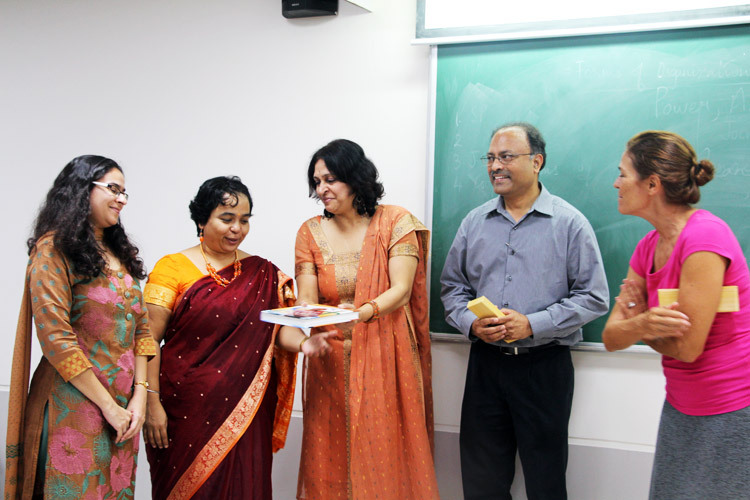 The articulate and amiable faculty and students of Loma Linda University, Los Angeles, California, US, created a positive and lasting impact on Jaihindites. Psychology Department was established in the year 1952, making Jai Hind College one of the three colleges affiliated to the University of Bombay (now Mumbai ) to have a Psychology Department at that time. Its founder Mr. A.K. Jaindani was a fine scholar and was responsible for adding valuable books on Psychology to the library. He was the Vice Principal at the time of retirement. Another bright member of the department , Ms.Aban Panthaky Billimoria left for the USA in the 1960s for her doctoral studies and later became the Provost and Assistant Vice Chancellor of Chicago State University . The Department is proud to have had students like Mr. Vallecha , who later joined the Department faculty . He went on to become an Industrial Psychologist. He is well known for having designed the "Vallecha Scale", which has been used internationally. Student Profile: Students enter FYBA Psychology with I division at the HSC levels, sound knowledge of basics in Psychology and well versed in spoken and written English. Contribution to community service: Students are encouraged to work with NGOs that help the special populations like visually impaired, children with Special problems & old peoples homes. Prafulta counseling group are some of the other activities that happen year round keeping every one sharp and well informed. Espectro Psychoogico the magazine and Journal of Psychology are the hall mark events orgnised by the department through the Psychology Association.